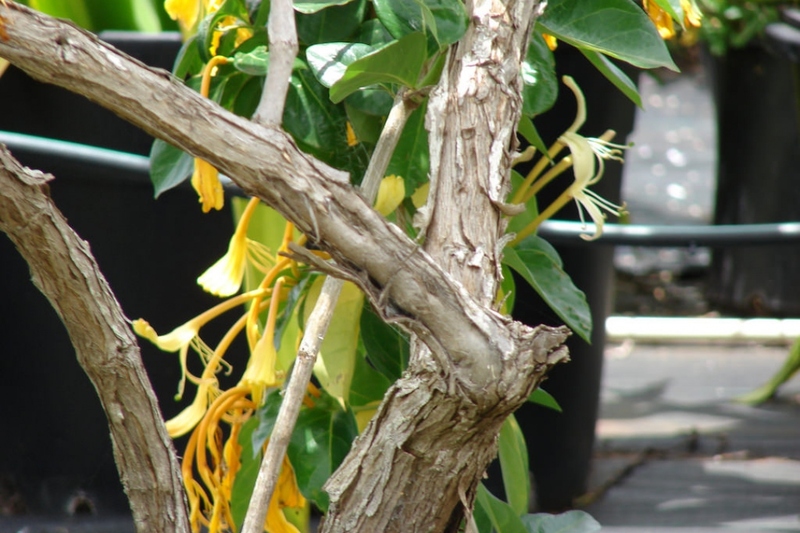 Giant Honeysuckle (Lonicera hildebrandiana): growing, planting, caring. 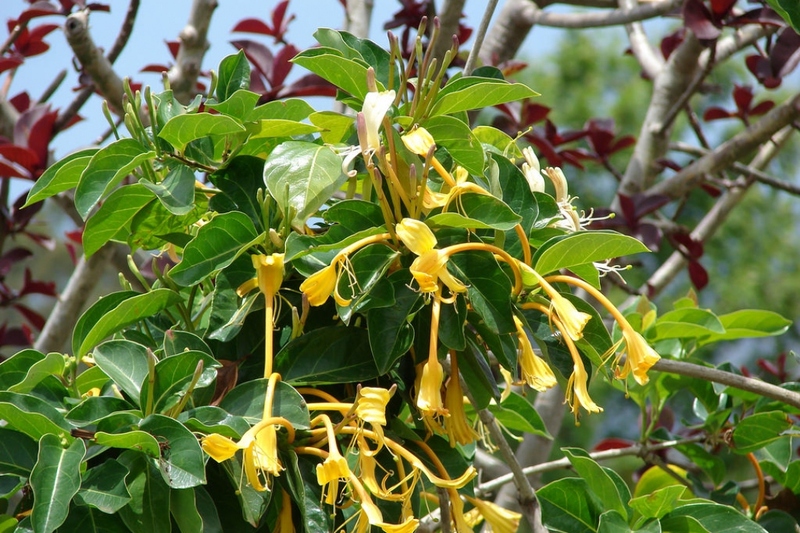 A very large climbing honeysuckle - alas frost-sensitive. Full description for Lonicera hildebrandiana not yet available.